Carter Hart has earned the nickname Starter Hart in Philly. The rest of the league should soon know the goalie on the other end’s name. The Flyers entered 14 points out of the last playoff spot in the Eastern Conference and Fletcher is prepared to make changes by the Feb. 25 trade deadline. He said Monday that All-Star centre and team captain Claude Giroux is the only veteran he won’t trade. Giroux does have a no-trade clause, but a deal that involved the popular holdover from the 2010 Stanley Cup Final team might cause a half-empty Wells Fargo Center to completely thin out. 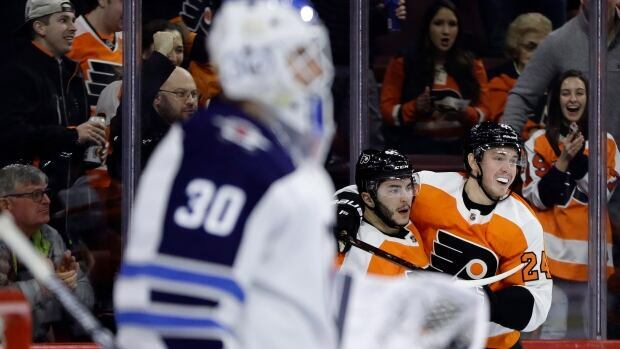 Hart made a spot start in the minors Saturday to stay sharp because the Flyers’ bye week blended into the All-Star break. “That was good for all of us to have that week off just to kind of not think about hockey and get a little bit of time away from the game so we can make a push here,” Hart said. The Flyers would need an improbable run to make the post-season for the second straight year — and even the GM isn’t sure it’s in the cards. Fletcher has talked to pending free agent Wayne Simmonds about his role in the rebuild. Philadelphia could stay the course and try to sign Simmonds to a new deal. But the solid scorer and team leader with a $3.75 million US salary cap hit could net the Flyers key pieces as they look toward the future. Fletcher won’t wave the white flag on this season quite yet. But the GM who replaced the fired Ron Hextall in November knows he wasn’t brought aboard to keep the status quo.